Showing results by narrator "Marta Magdalena"
Everyone has something they can turn into an online business that they love. 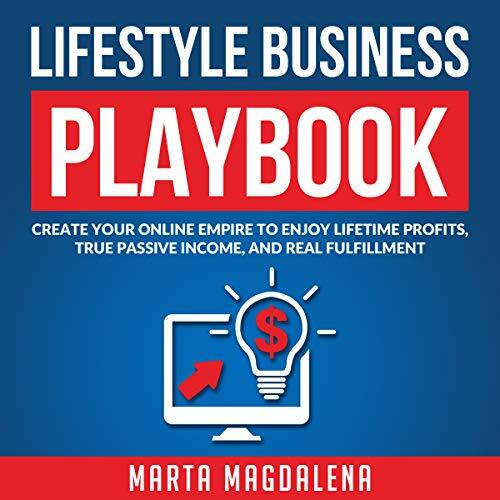 Lifestyle Business Playbook will help you unleash your hidden potential and re-design your life. Are you afraid you'll never live life to the fullest because negative situations in your business are affecting you and making you lose your motivation? Is the fear of failure, awaiting that perfect motivational book and super exciting moment, preventing you from moving forward and taking meaningful action? The biggest secret that most successful entrepreneurs don't tell you is that they know how to take action despite their initial lack of positive feelings, exciting motivation, etc.